Talk To Me In Spanish has group Spanish classes ideal for those interested in making new friends and building a community around people wishing to learn Spanish. Unlike other Spanish classes or language schools, with us, the group dictates the direction of the lesson and future classes. These classes are designed to be collaborative so the entire group benefits. 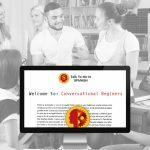 Talk To Me In Spanish has been known to host group Spanish classes that lead to conversations and the desire to learn more about Latin culture and history. 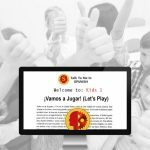 The idea is to have the group more comfortable with learning Spanish so that it can be used in real-world conversations. Students who participate in the group Spanish classes come from different walks of life and professional backgrounds but they all have a desire to learn and speak Spanish. This makes learning Spanish more fun and comfortable. 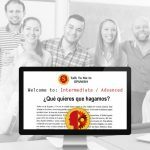 For people who are outgoing or interested in meeting new people, the group Spanish classes are the perfect way to learn Spanish. For those interested in taking classes at Talk To Me In Spanish, keep in mind the group Spanish classes move along as a group. This means the group will provide input on what they want to learn and then the classes will be created to accommodate that in the group. The group classes are designed to be an informal classroom environment. For those of you who do not enjoy learning in a classroom or prefer to consume new information at your own pace, a private lesson is probably more suitable. For children and teens interested in learning Spanish, our kids & teens classes will be a better match. Be sure to read through our other class pages to see if one of the other classes is a better fit to your current learning style and needs.